Dept: Hudson County Police Dept. Summary: Patrolman Thomas Clossey succumbed to injuries received the previous day when his police motorcycle was struck by a hit-and-run driver on the Newark Turnpike between Jersey City and Harrison. The stretch of road that he was struck on was known as "Dead Man's Curve." Patrolman Clossey was transported to Jersey City Hospital where he succumbed to his injuries. 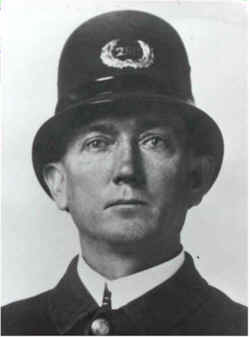 Patrolman Clossey was survived by his wife and daughter. More from Hudson County Police Dept.